WPA Pool / GettyTheresa May could be out of Downing Street this year. LONDON — Prime Minister Theresa May could be ousted as early as this autumn, with a letter of no confidence reportedly already being circulating around Tory MPs in Westminster. Only a small number of MPs are believed to have signed the letter so far but this number is expected to rise as soon as Parliament returns in September after the summer recess, the Guardian reports. Most Conservative MPs are determined not to see May toppled this year as this would trigger a leadership contest which would likely lead to yet another general election taking place. Labour would win the most seats if another election was held, according to the most recent opinion polls. However, there are a number of ministers and their allies who would be more willing to back a bid to oust the prime minister if persuaded that a credible successor is waiting in the wings, the Guardian adds. Chancellor Philip Hammond, Foreign Secretary Boris Johnson, and Brexit Secretary David Davis have all been tipped as potential replacements. Friends of Andrea Leadsom told Business Insider last month that a number of Conservative MPs have emailed her since the shock result of the June 8 general election urging her to consider running for the party leadership. 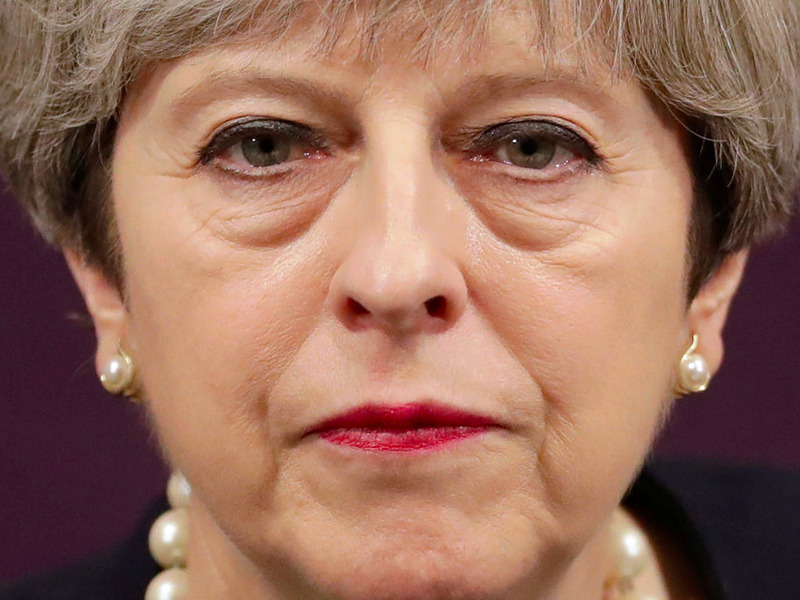 Over half of Conservative Party members (56.47%) believe May should step down before the next election, which is scheduled to take place in 2022, according to a ConservativeHome survey published earlier this month. Ministers have urged Prime Minister May to get rid of “donkey” and “indulgent” Cabinet ministers who have leaked details of recent meetings to the press, the Times reports. May is set to remind her top ministers today that the business of Cabinet meetings must remain private after comments Chancellor Hammond made about public sector pay were leaked to the Sunday newspapers. Hammond on Sunday accused hard Leavers on the front bench of trying to derail his plan for a softer Brexit after it was reported he said that public sector workers are overpaid during a cabinet meeting. “I think on many fronts it would be helpful if my colleagues, all of us, focused on the job in hand”, he told Marr.